Billed as Florida’s biggest camping festival, Okeechobee Music and Arts Festival, better known as “Okeechobee”, is described as “a four-day surreal experience, filled with multi-genre music, immersive art, and transformative events” and is “a gathering of all walks of life where the common ground is music, magic, and mystery from dusk ’til dawn” held deep in the heart of Florida’s wilderness. In 2016, the festival hosted nearly 30,000 attendees and the bill boasted over 80 music artists from across the globe performing on five diverse stages. 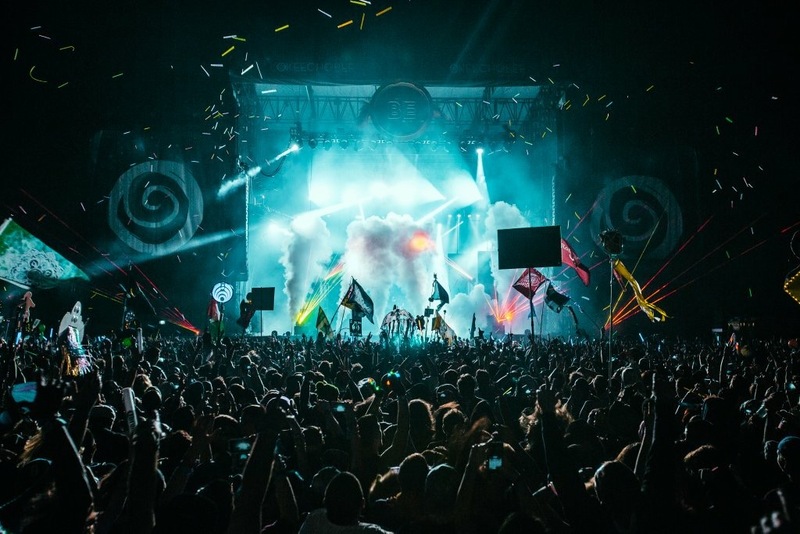 The event was also highlighted by a dusk-til-dawn stage, Jungle 51, which featured some of the world’s top electronic artists and once-in-a-lifetime artist collaborations produced by the creative forces behind Bonnaroo’s world famous SuperJam. The lineup included massive and diverse acts including Bassnectar, Odessa, Future, Hall & Oats, Miguel, Mac Miller, Big Gigantic, RL Grime, Post Malone, and many more. This year, the lineup remains true to diversity and includes many notable acts including Kings of Leon, Bassnectar, Flume, The Lumineers, Pretty Lights, Porter Robinson, Griz, Solange, Wiz Khalifa, Rae Sremmurd, and a rare performance by Usher and The Roots. Other acts include Snails, Anderson .Paak & The Free Nationals, Gallant, Snakehips, BADBADNOTGOOD, Russ, Joey Purp, Louis The Child, and many more. The entire lineup can be found below, and more artists have yet to be announced. Okeechobee Music & Arts Festival made musical history in its inaugural year with “PoWoW! A Live Superstar Mashup,” a collaborative concert that, united vocalist Miguel with frontman Win Butler of the band Arcade Fire along with artists from all genres and eras. Special guests included Skrillex, Marcus Mumford, and Mac Miller. The “PoWoW!” experience will continue this year with special guests soon to be announced. Along with an allstar lineup, festival goers can expect to enjoy a variety of activities to feed the soul, inspire creativity, community, and connectedness, and to awaken everyone’s inner weird. These include swimming at the white-sand “Aquachobee” beach, a lakeside bar, art installations, local food vendors, craft beer, a craft bazaar, and much more. Yoga and meditation workshops are also available at “Yogachobee” inside the festival’s village and are intended to be a place to reflect on the epic musical moments that take place and to re-center for the day ahead. Okeechobee festival is a camping festival, and 3-day, 4-day, RV camping, and VIP ticketing options are available. 3-day general admission tickets are $229 and include 3 full days of entertainment and camping beginning on March 3rd at 10am, as well as access to all workshops, vendors, “late night shenanigans”, and beach activities. 4-day passes are $249 and include four days of entertainment as well as early access to camping and all other activities. VIP packages begin at $599 and include access to all activities, vendors, complimentary charging stations and wifi, air conditioned restrooms and showers, and a VIP-only camping area, viewing areas at three stages, and VIP sanctuary lounge. All ticketing information can be found here. 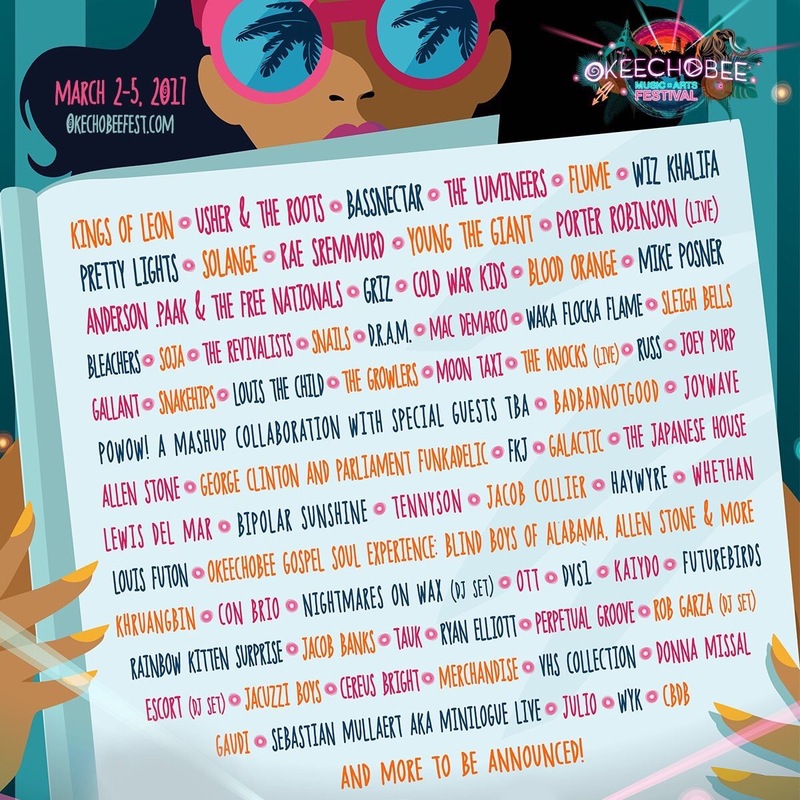 Visit okeechobeefest.com for more information, and stay connected on Facebook, Twitter, and Instagram for the latest updates.